Watson portrays a twenty-something Mae- a girl from a middle class family who scores big by getting her dream job at a social media giant. Think Amazon, Facebook and Twitter rolled into one with a culture-style of Apple (and based in the San Francisco area so you get gorgeous views of the Golden Gate Bridge as a bonus). Mae soon discovers that the company watches, follows and uploads every moment of their employees lives. It’s actually not a bad thing from her point of view since she gets an emergency help thanks to the the watchful cameras of The Circle. Seduced by the grand vision of the Jobs-style CEO (Tom Hanks), Mae agrees to be filmed 24/7 (minus a few bathroom breaks) and becomes the best spokesperson for the philosophy of zero privacy in the name of a perfect customer service, an early health intervention and crime prevention. We do not have to wait long for the Big Brother to cause embarrassment and the ultimate tragedy in the lives of our protagonists. 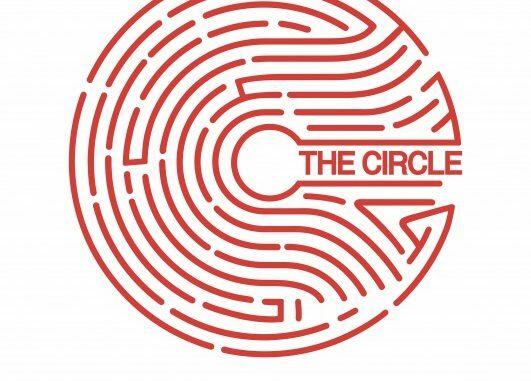 The Circle we see onscreen is a classic tech corporation, populated by young people without any obligations and no hostages- no kids, no mortgages, no sickness, no infidelities. Easy to manipulate, happy to take risks, not too concerned about privacy as they have accumulated very little skeletons in their closets. Ideal employees who easily embrace the ideology of getting rid of any privacy in the name of better service and relationships. “Sharing is caring” they chant at a town hall meeting. The storytelling is slightly flawed here but the main reason we chose to recommend it is that it does what movies do so presciently and so enjoyably. Filmmakers are very good at showing us the near future in a … well…. cinematic, way. In Minority Report Tom Cruise enters a clothing store where he is greeted by name via big screens projecting his face. These days RFID chips in new clothing can track any purchase and probably any purchaser but at the time this was a new concept illustrated so well by a movie scene. Have you seen Helen Mirren in Eye in the Sky tracking an Islamic terrorist through a drone that looked like an insect? So many movies illustrate a reality that is just round the corner. The Circle is the newest one on that list. It’s fun to watch an exaggerated vision of everything we already have in some form: literally everyone walks around glued to their cell phones, tiny devices record every corner of the globe and social media is used to steer all social and financial behavior (Google Analytics, flash crowds- you know how this works in reality….). The story pushes to the limit the idea of big data collection, the totalitarian lack of privacy achieved thanks to genius algorithms or even the idea of forcing every citizen to vote via a social media account. There is even a more general comment on the grand transformation the whole planet is undergoing due to the digital flow of information. In the end though, it’s just an entertaining movie you can use to say something cautionary to the young ones in the family.